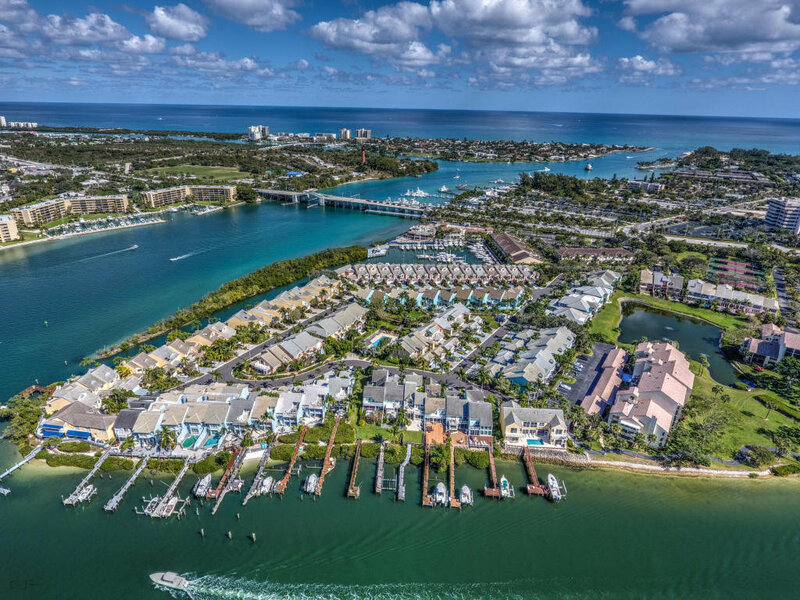 Jupiter Harbour is a haven of waterfront condos and townhomes with the breathtaking views of the Jupiter Lighthouse, Intracoastal and ocean. The community features two to four bedroom homes with sizes ranging from 1,500 to 3,500 square feet of living space. Jupiter Harbour is a 24-hour manned, security gated community with amenities such as a clubhouse, tennis courts, community pool, boating, docks and sidewalks. Residents of Jupiter Harbor are close to beaches, shopping and world class fishing and golf. Highly desirable waterfront community in heart of Jupiter, walking distance to:Jup.Lighthouse, Harbourside, BurtReynolds Park, 1000North,Guanabana & more. Full hurricane shutters. 2 screen terraces.PRICE REDUCTION. Owner motivated, all offers will be submitted. End unit with windows on north,east and south sides.. Great view. of Intracoastal. Easy to C.